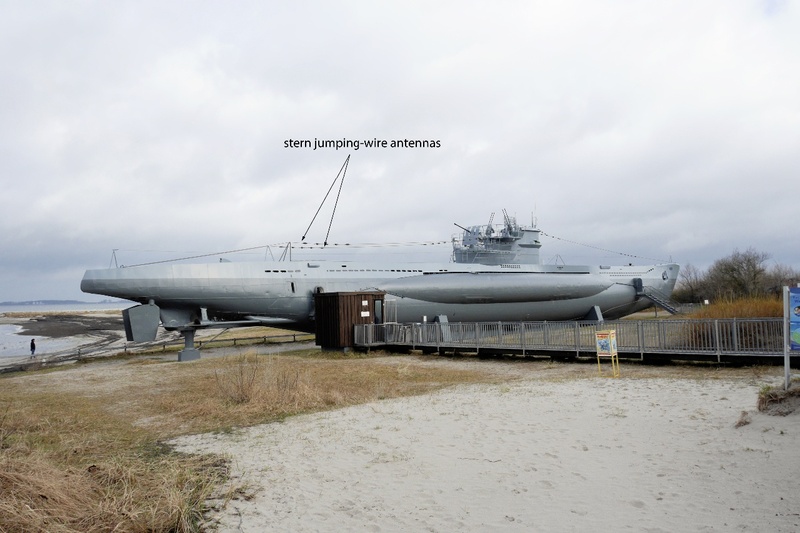 -One of the stern jumping-wire antennas was slightly longer than 18 yards, while the other was slightly shorter than 18 yards. Both were 2 feet 6 inches high at the aft end and 7 feet high at the bridge end. -Coconut porcelain insulators were used on the stern jumping-wire antennas in the same manner as they were used on the bow jumping-wire antenna.